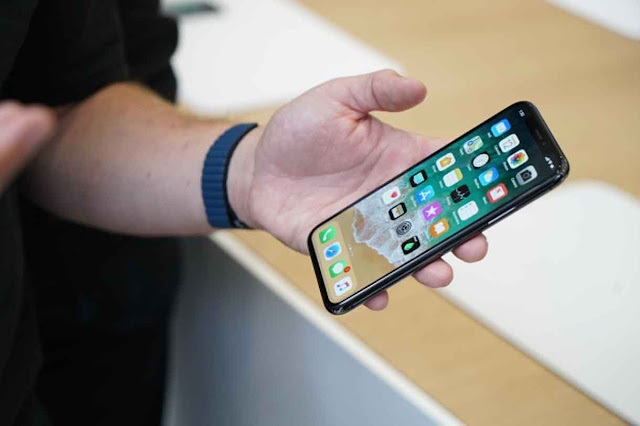 This year Apple has launched three different models of iPhone in the market but the talk of the town is non-other than iPhone X. Even though the device is most expensive iPhone till date, has seen a great response in the market. If you see the overall changes that iPhone X bring to iPhone line-up is huge it starts with the great design, the OLED Display till the wireless charging. All though personally I am not a fan of wireless charging as it still needs lots of improvements. Today in this article we will be talking about the 4 such features of iPhone X which will push to upgrade. Admittedly the idea of glass on both the front and the back of the phone just seems like a one-way-ticket to spending your whole life getting your screen fixed, but Apple is quick to assure anyone that this is the strongest glass found on any smartphone in the world. Not only that, but you have to admit that medical-grade polished aluminum looks pretty good. Just as we’ve all come to terms with the fact Apple wants to take our fingerprints to get into our phone, they’ve decided to ditch Touch ID and replace it with a face-scanning technology as your password and to activate Apple Pay. Reservations about your phone struggling to recognize you without makeup aside, the technology allows your phone to create a unique 3D map of your face and then use that to log you in is pretty cool. And it supposedly it works in the dark, at angles, with or without makeup and even if you grow a beard too. If you’re anything like us and use emojis to express 99% of your emotions then Animoji is the feature for you. Using the TrueDepth camera on the front, the iPhone X can produce custom-made emojis (look at that panda) that can move with your facial expressions and laugh. So we’ve basically become Avatar. Now, what we’ve all been waiting for, the feature that is going to allow us to take the best selfies yet. Whilst in Portrait Mode your iPhone now uses machine-learning to actually recreate professional lighting effects on your face. It measures your face in real-time and gives you a whole range of different lighting effects. Combine that with the iPhone’s already excellent Portrait Mode and we’re sold.